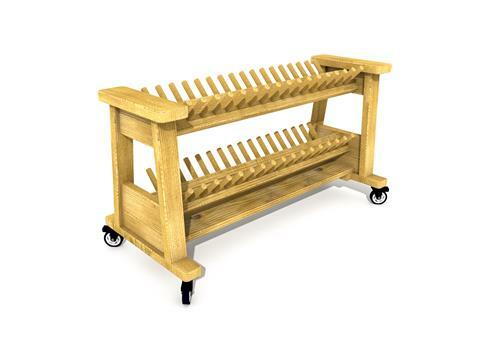 A movable Welly Rack that can store up to 32 pairs of wellies. The large castor wheels allow for ease of movement on uneven ground and can lock into place. The strong individual dowels encourage organised use, and are at a perfect height for even the smallest children to use independently.